Padre assisted the Carpinteria Valley Water District (District) in submitting the requests for a change in the District's Sphere of Influence and annexation of over 2,000 acres to the Santa Barbara Local Agency Formation Commission. Padre also assisted the District in the preparation and submission of Conditional Use Permit and Coastal Development permit applications required to pursue development of a 3 MG tank and associated infrastructure (e.g., pipelines, roads, pumping stations). 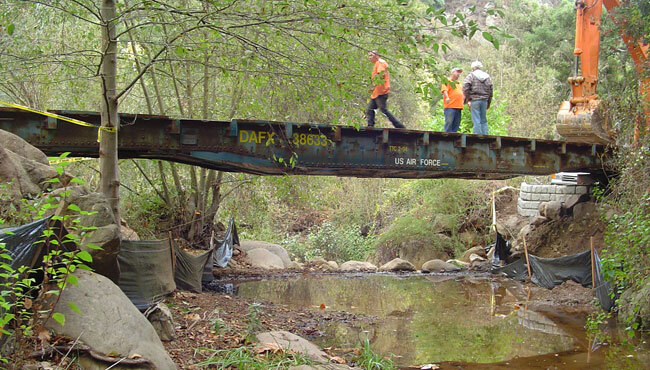 Additionally, Padre assisted the District in obtaining a Streambed Alteration Agreement for construction of a temporary and permanent bridge proposed as part of the overall project. Permit amendment requests were also prepared and filed on behalf of the District to address revisions to the project. 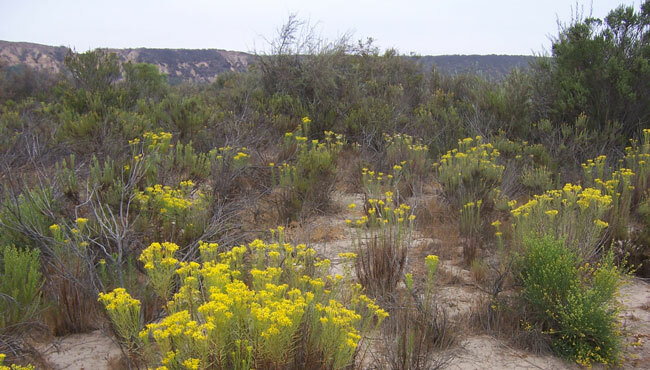 Padre assisted AECOM and the Nipomo Community Services District (NCSD) with permitting and biological services on the proposed NCSD Waterline Inter-tie project in Nipomo, California. The proposed project would include a pipeline to deliver up to 6,200 acre-feet per year of water from the City of Santa Maria to the NCSD’s customers. The project will include a directionally drilled segment of pipeline to cross beneath the Santa Maria River. Padre prepared a biological survey of the proposed pipeline alignment in support of the Environmental Impact Report preparation task of the project. Currently, Padre is acquiring agency permits for the construction of the proposed pipeline. Several regulatory agencies are involved in the permitting phase of the project, including the U.S. Army Corps of Engineers, California Department of Fish and Game, the San Luis Obispo County Air Pollution Control District, and the City of Santa Maria. Since 2007, Padre has been providing permitting, environmental, and remediation services to Chevron Environmental Management Company for the remediation, restoration, and re-development of the former San Luis Obispo Tank Farm Property in San Luis Obispo. This 332-acre property was historically used for the storage of crude oil as part of the former oil storage and transport system on the Central Coast. The property was impacted by the release of petroleum hydrocarbons during a 1926 lightning strike and resulting fire that released over a million barrels of oil to the surrounding area. Padre has assisted Chevron with the preparation and submittal of permit applications, and consulted on the content and review of the environmental impact report resulting in the certification of the EIR by the City of San Luis Obispo. Permits have been obtained from the U.S. Army Corps of Engineers, the California Department of Fish and Wildlife, the Central Coast Regional Water Quality Control Board, the County of San Luis Obispo Department of Planning and Building, and the San Luis Obispo County Air Pollution Control District. Additional reviewing agencies included the City of San Luis Obispo, Caltrans, San Luis Obispo County Regional Airport, the California State Historic Preservation Office, Federal Emergency Management Agency, and the Federal Aviation Administration. Padre completed site wide wetland surveys, rare plant surveys, vernal pool fairy shrimp surveys, and cultural resource surveys. Padre prepared a landscape restoration plan, containing a mitigation plan for fairy shrimp impacts, which will be implemented following site remediation activities at each remediation area. Padre has conducted cultural resource surveys and testing at several historic features located within the site. Padre works closely with the remedial construction company to plan and execution remediation in each of the remediation areas of the site. Padre has conducted various assessment activities to characterize the site prior to remediation and obtain regulatory approvals. Remedial construction activities began at the site in 2016 for what is anticipated to be an eight-year long remediation and restoration project. 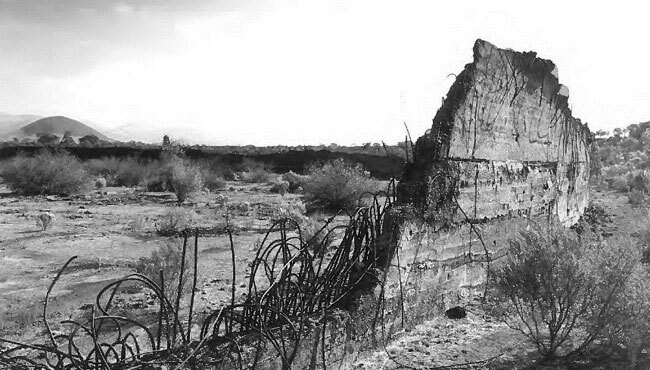 The photo shows the ruins of a former oil reservoir at the site destroyed by the 1926 fire. Padre provided regulatory permitting and environmental oversight for the PG&E Company Line 114, Line 114-1, and Line SP4Z San Joaquin River Pipeline Crossing Decommissioning Project (Project). This included the preparation of an environmental assessment and regulatory permit applications for the Project. The California State Lands Commission (CSLC) was the lead agency under the California Environmental Quality Act and with the support of Padre, prepared a Mitigated Negative Declaration (MND) for the Project. Padre prepared permit applications for the Project including an application for a CSCL Lease Amendment; United States Army Corps of Engineers pre-construction notification for approval under nationwide permit 12; California Department of Fish and Wildlife Streambed Alteration Agreement notification; and an application for Regional Water Quality Control Board Water Quality Certification. Padre also prepared a Biological Assessment for Section 7 Consultation with the United States Fish and Wildlife Service and National Marine Fisheries Service, and facilitated informal consultation with the federal agencies. Regulatory permits were issued in early 2016 and removal of approximately 3,600 linear feet of pipeline from the San Joaquin River was completed between August and October of 2016, during the aquatic work window for protection of sensitive fish species occurring in the Bay-Delta. 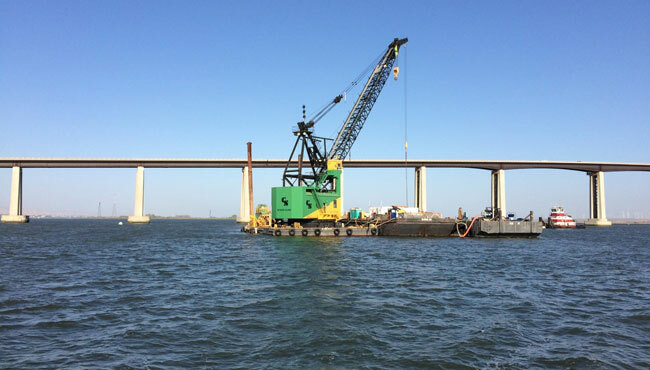 Padre provided pre-construction surveys and permit compliance monitoring, including water quality monitoring, for the construction phase of the Project. Removal of the pipeline from the levee on Sherman Island is scheduled for August 2017 and Padre will provide permit support and construction monitoring services for that portion of the project as well.